The appointment of Daniel Akerson as CEO of General Motors Co. may bode well for GM's future supplier relations, although it is unlikely to alter its its supplier strategy. Akerson, 61, currently is general manager and head of global buyouts for Washington D.C.-based private equity firm the Carlyle Group, which has purchased the assets and holdings of several bankrupt Detroit auto suppliers over the years. 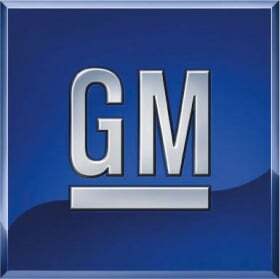 He will become GM's fourth CEO in the past 18 months when current CEO Ed Whitacre steps down Sept. 1. Akerson's experience with automotive takeovers may bode well for supplier relations, said Bill Wildern, CEO of Farmington Hills, Michigan,-based Hydra Professionals LLC, a company that specializes in corporate turnarounds in the automotive industry. Carlyle has an equity stake in Wixom-based Diversified Machine Inc., which it formed in 2005 following a purchase of assets from the bankrupt UniBoring Company Inc.
A similar transaction occurred last year when Plymouth-based Metaldyne Corp.'s assets were bought by MD Investors Corp., led by the Carlyle Group and investment advisor Solus Alternative Asset Management L.P.
MD Investors paid $40 million in cash, assumed debt and liabilities of the old Metaldyne and bid more than $425 million in new secured term debt for the assets. Carlyle also purchased Troy-based AxleTech International Holdings Inc. from Wynnchurch Capital and Resilience Capital Partners in 2005. Carlyle sold AxleTech to General Dynamics in 2009. Carlyle also owns Synagro Technologies Inc., which was involved in a high-profile corruption probe over a $47 million contract with the city of Detroit last year. Carlyle also maintains a stake in Allison Transmission — which GM sold to Toronto-based Onex Corp., led by Carlyle, for $5.6 billion in 2007.